When one visits the same location over and over, whether for comfort or something else, it can be considered “go to” location which could include Restaurants, running routes, amusement parks and much more. 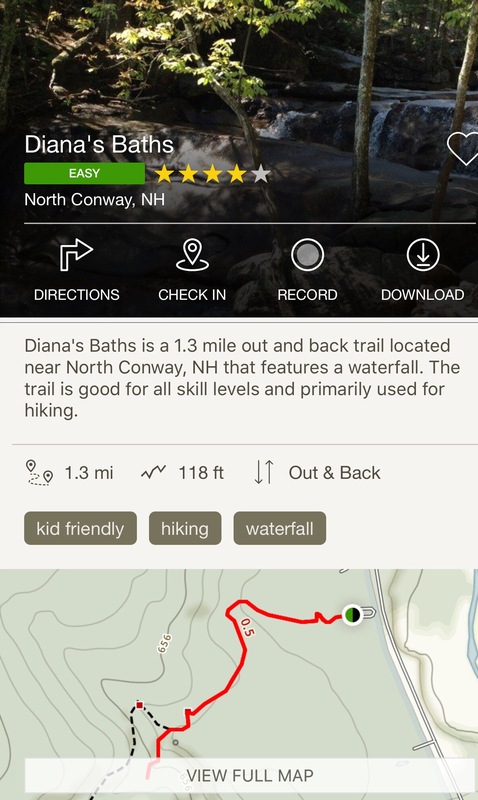 A “go to” recreational location for us each time we venture out of our condo in New Hampshire is “Diana’s Baths” – located about 5 minutes from our location. Now the first time someone mentioned this place to me several year ago, I immediately thought of a museum or a farm (as I had never been to the area before). But I was very wrong! It is so much better than such and an overall great place to spend the day – as a family, as a couple or all by oneself! And best of all of you are staying with us, it is 5 minutes from the condo down West Side Road! This trail and waterfall combo is not challenging from a hiking perspective compared to the jaunts earlier in the week. It is a short walk to the bottom of the falls (and very flat to that point by the way). Then to get to the top of the falls, some climbing of rocks and over roots here and there has to be done, though it is not tremendously steep. In some spots, it can be tough to climb but the alternative – taking a wider route – can remedy any issues that one has about climbing, making the move to the top easier on the legs. The climb is but one piece of your day at Diana’s paths. Here are a few othe tidbits to consider. How do we plan our day at Diana’s baths? We have been to the baths many times over the past few years but our last time might have been the best. We went all the way to the top first and the worked our way down. Most of the crowds do not know how high the falls climb so many people are found closer to the bottom of the falls as a result and then never make it to the top (thus less people or crowds to deal with). The top has plenty for the kids to do and is worth taking a look at first! Then make you way down the falls to all it has to offer. Pack a lunch! One great feature of these falls is the many large rocks one can plop themselves down and have a snack, eat lunch or even just sit there and read a book. It is very peaceful sitting on the rock looking down at the many formations that the water makes it way through. Bring Watershoes & bathing suits! The baths are great for kids as there are pools everywhere. Nothing is really deep except for one pool that is an estimated 10 feet deep! (And is only about 3 feet wide). On average, you will find them a foot to two feet deep. 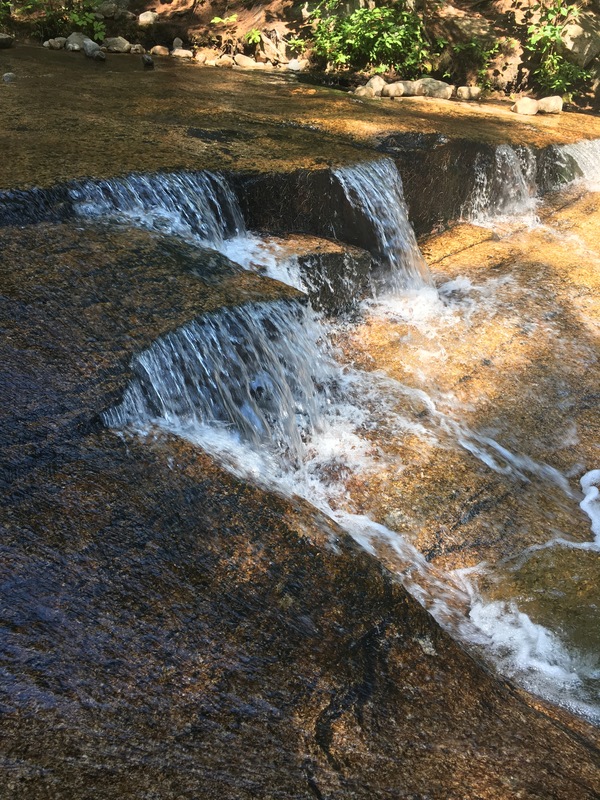 There are little slides along the rocks and parts of the falls the kids can sit under. 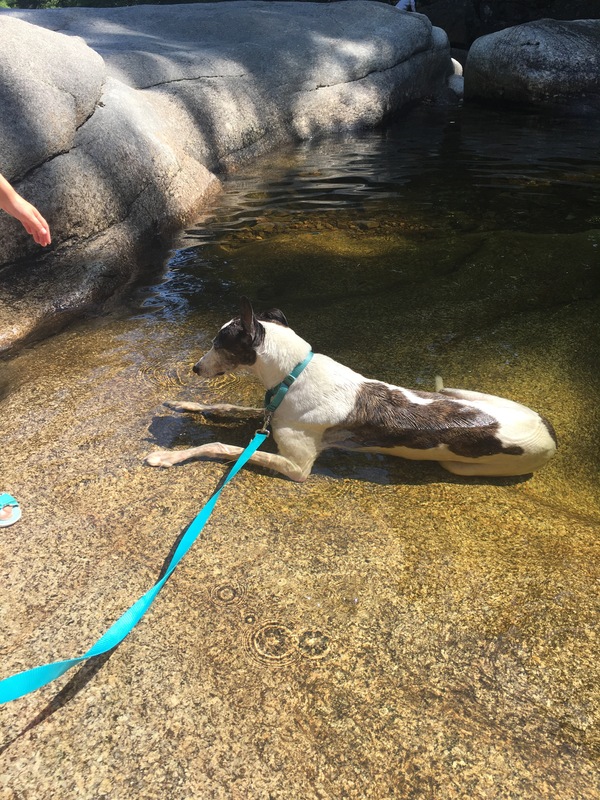 Just be sure that everyone has watershoes on because the rocks at the bottom of the some of these pools can hurt in barefeet! Get there early! I have found that the crowds for this locale really picks up after 11 and then you will find cars filling the parking lot and for about 100 yards on each side of the entrance on West Side road. 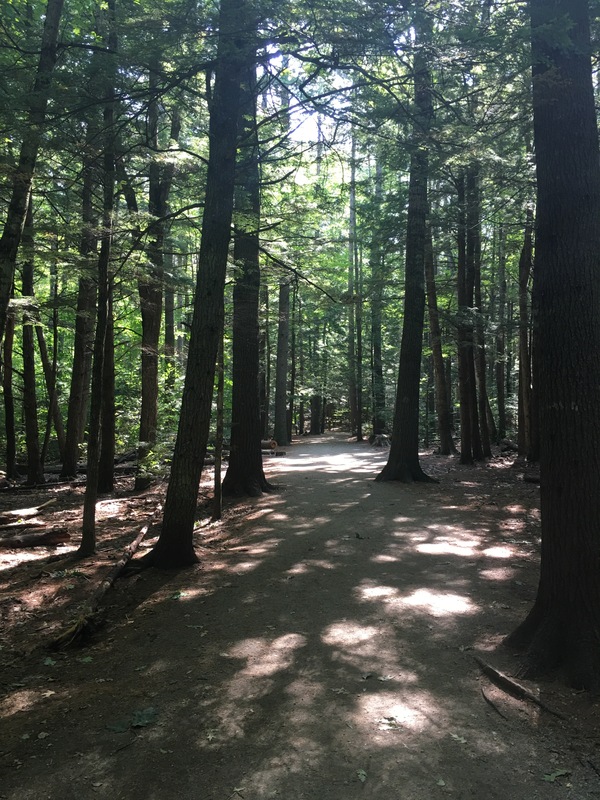 But before 10, chances are you will find a space in the lot and find less traffic on the path to and from the falls. But use the bathroom at home! This location might have the worst smelling bathrooms on the planet! It smells so bad in these toilets, one wants to vomit after being in there for just a minute – and guess what, the Vomit would actually smell better! So if you are smart, everyone use the bathroom at home or you will be forced to endure hell on earth! Dog Friendly! Everyone brings their dogs to the baths. Our dog Pebbell made herself at home finding a cool location (as shown below). More reviews will be coming from our trip in the future. Click here for a page of the latest on the McCartySeasons condo! Next Post 5 for Friday: Things are going just swimmingly!